Did you know we started out over ten years ago with just 34 players? Hard to believe it's the same orchestra who now create the big and beautiful sound our audiences love. If you want to lose yourself in wonderful classical works, many romantic, many famous, some you’ll have never heard before, you should pay a visit to our concerts this year. Whether you’ve taken a shine to Shostakovich or delight in Debussy, we’re here to offer you the best in Bristol’s amateur orchestral performances. Conducted with passion and precision by Mark Gateshill and led by the dynamic Tina Mehta, we throw ourselves into our music with a real delight in order to bring to you some of the best of the west’s amateur classical music. Come and share our enjoyment, it’s infectious! We’d love to see you. 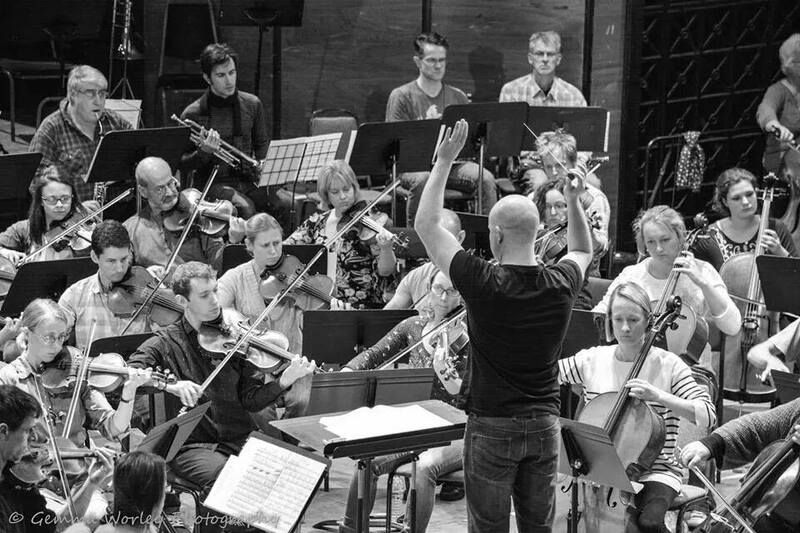 We’re proud of the fact that we have worked with some of the country’s most exciting up and coming soloists, offering them the opportunity to play with a large orchestra in stunning Bristol venues. You might have been with us when Cyrus Cheng received a standing ovation for his incredible performance of Rachmaninov’s 2nd piano concerto. Or maybe you felt shivers down your spine when Lucas Hank played Shostakovich’s Violin Concerto. Don’t miss out on a unique opportunity to experience fine young talent first hand. Put our concert dates in your diaries.